In memory of Harper Lee we are revisiting this classic published in 1960. It was immediately successful, winning the Pulitzer Prize, and has become a classic of modern American literature. The plot and characters are loosely based on the author's observations of her family and neighbors, as well as on an event that occurred near her hometown in 1936, when she was 10 years old. 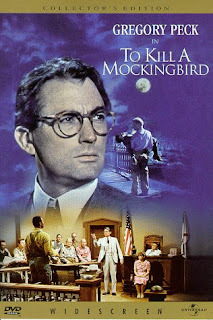 The classic film starring Gregory Peck is always worth watching again! This is also an opportunity to read “Go Set a Watchman, “the only other novel Ms. Lee wrote, which was released last year. or by calling the library (419) 586-4442.